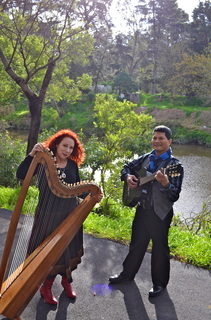 “Acoustic ripples upon a sea of imagination” - Classical/Celtic meet Folk/Country. 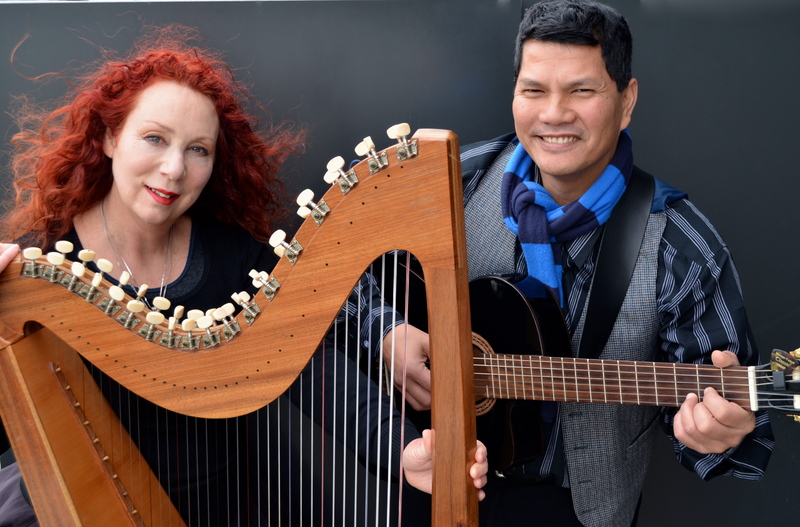 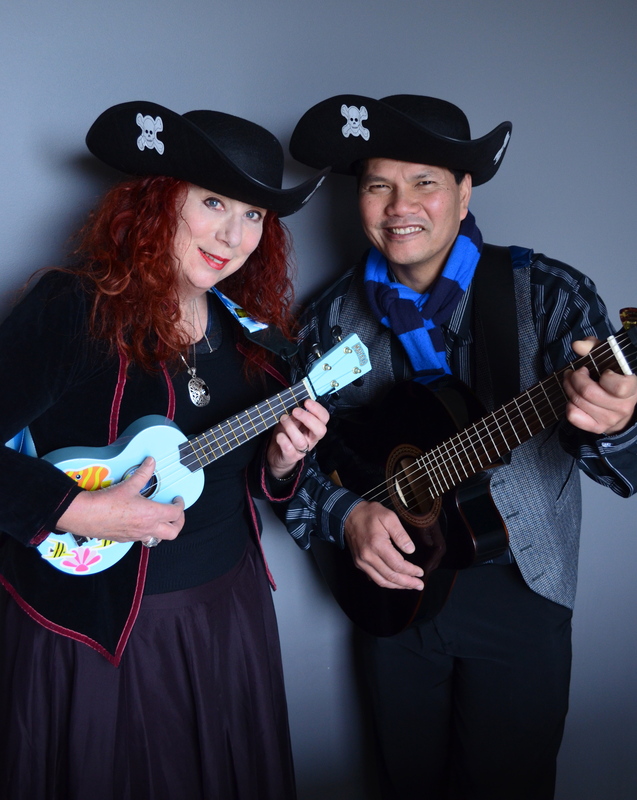 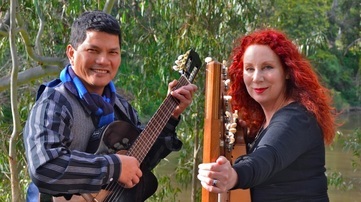 Barbara Jeffrey and Jose Garcia combine a hybrid Celtic/Paraguayan harp and soaring soprano vocals with the timbre of baritone vocals, guitar, flute and bodhran. 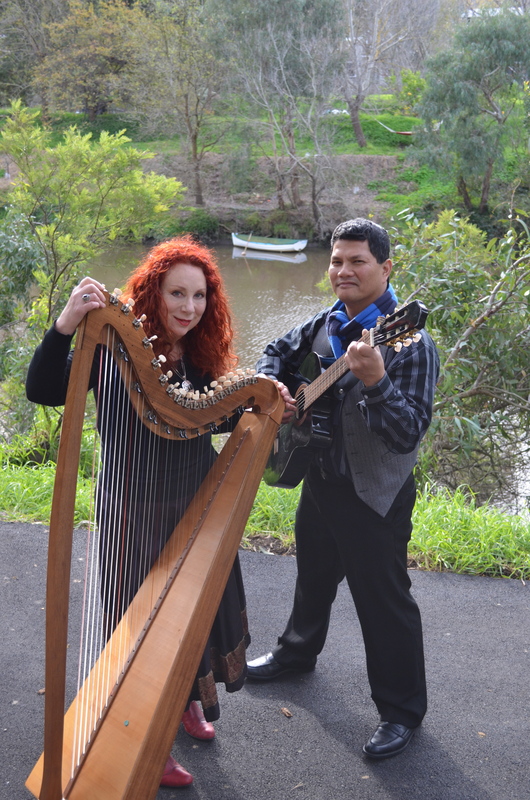 Beautiful traditional, original and contemporary music. 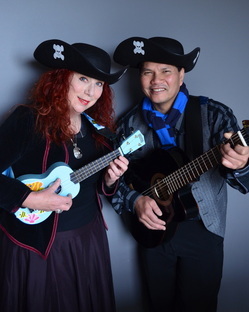 Copyright of these photos remain with Tidal Moon. 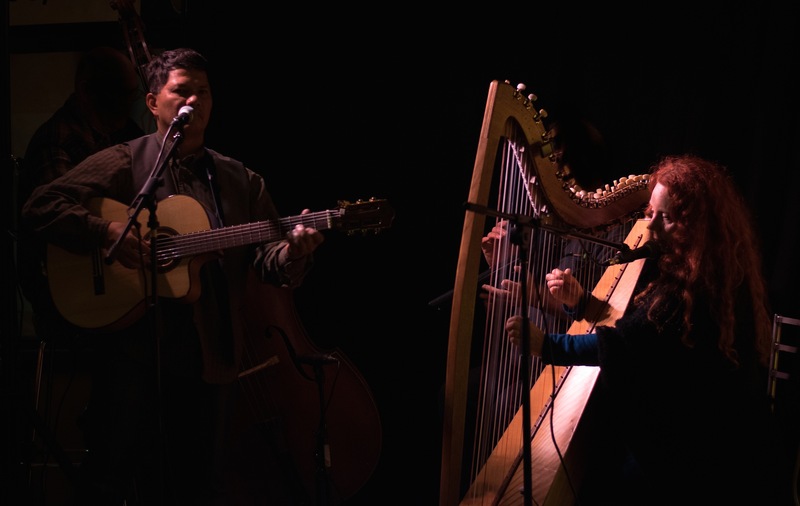 Photographs by: Elizabeth Maguire and Lynden Bobbitt. 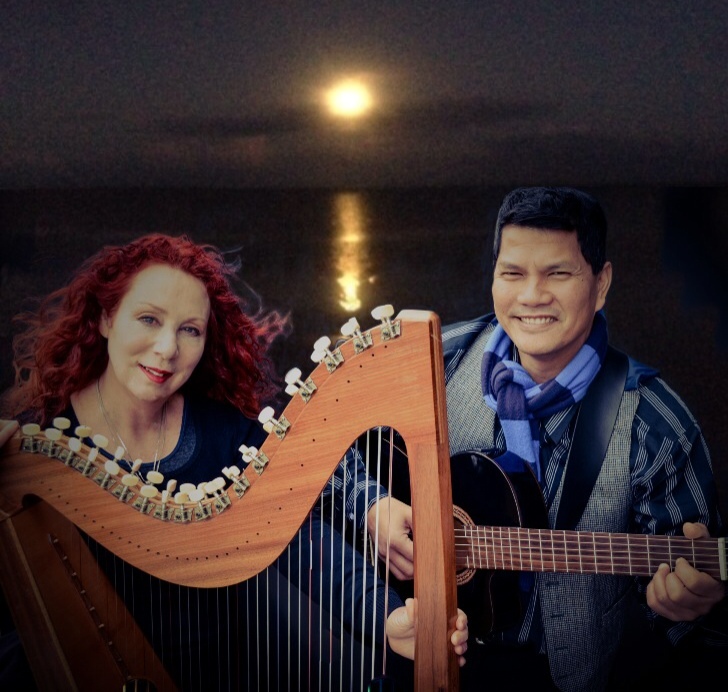 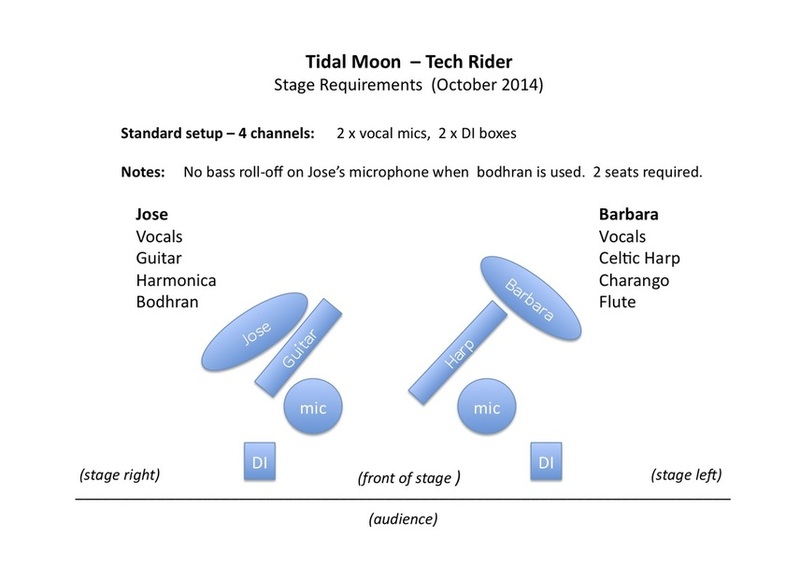 Don't miss them if you get the opportunity - Tidal Moon performing "with the ebb and flow of the tide."" 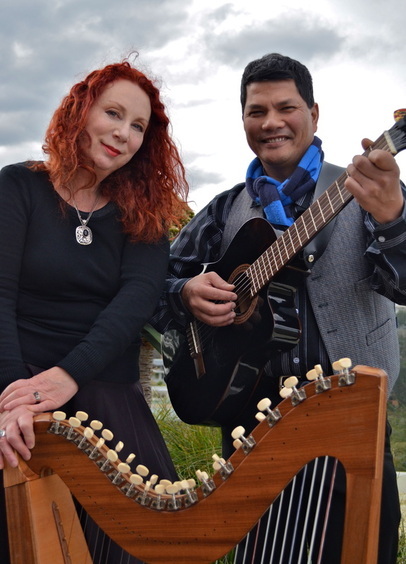 "Tidal Moon mesmerised the audience with their fresh and innovative style of original music."